If you have seen any weather reports lately, you know that not only is the Northeast buried in snow but many parts of the country are also battling a deep freeze. Birdsong is a brand new collection of designs that features garments that are perfect for layering and for warmer temps. You will find pieces made in your favorite yarns - Cerro, Classic Silk, Firefly and Sprout. 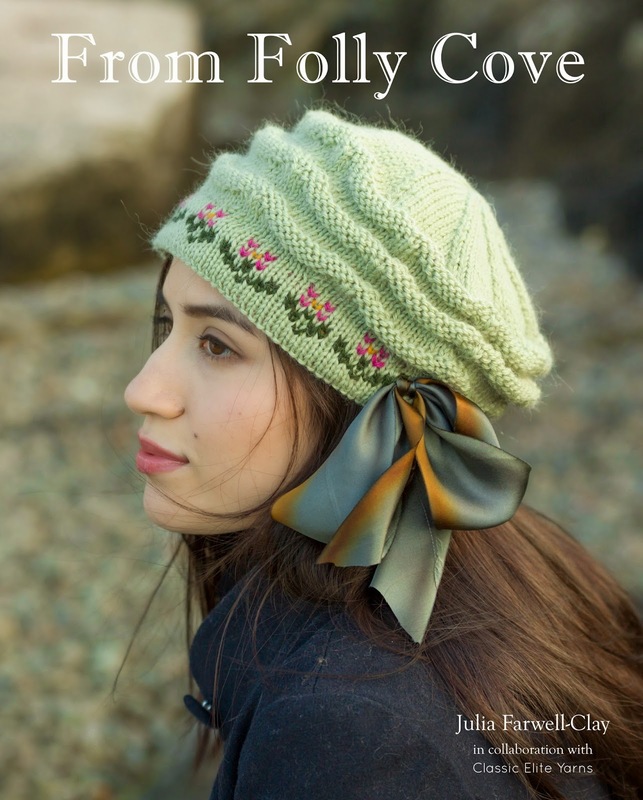 And you'll also see that we have a new yarn in this collection. Sandpiper is a cotton yarn with five spaced dyed strands that, when plied together, create a fabric with depth and interest, and enough subtlety for beautiful stitch detail. Check out the six designs below, pick your favorite to cast on and transport yourself to sunnier days! Sometimes the fun is in the details: easy to knit stockinette in two colors with front pockets and an open cross-over back. This hooded open front cardi with be the one you’ll want grab when you want to be sure to have a comfortable layer available. Take a classic cardigan and add lace panels that stop at various heights and you have Starling. Birdie combines 3 different colors of Sandpiper with varying width stripes in this V-neck pullover that makes a colorful piece to layer or wear alone. Imagine a perfect Tee, that’s Jarita. A complimentary square neckline with a rib and cable panel on the front and back along with seed stitch edgings on the sleeves, neck and bottom. How about a fun, interesting knit? Deryn combines 3 colors of Sandpiper along with alternating section of eyelets and garter stitch with short rows, creating a shawl to keep the cool nights at bay. Having flipped through the pages of Birdsong to write this post, I feel heartened that spring will definitely, eventually, no doubt about it, get here, sometime soon! 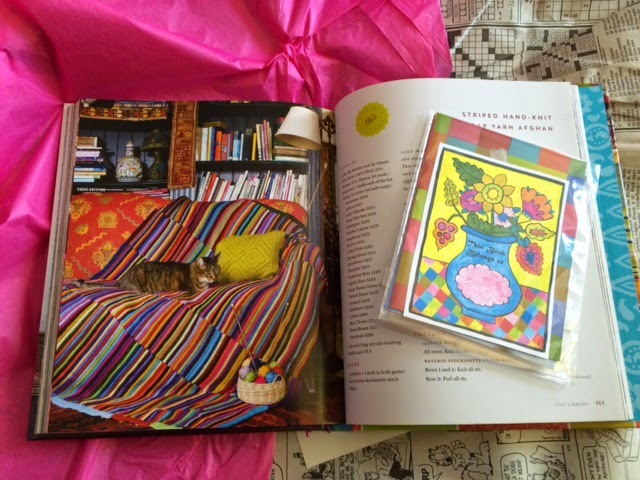 We got a beautiful package from our friend Kristin Nicholas last week - a copy of her new book Crafting a Colorful Home. And it is absolutely charming and inspirational! 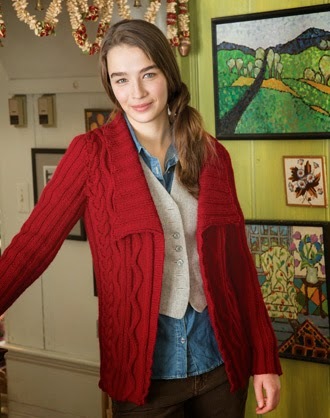 As you know, Kristin was with Classic Elite Yarns for many, many years, and her signature style is reflected in many of our older, vintage patterns. But she has designed for us more recently too. We were lucky enough to have a photoshoot at Leyden Glen Farm for this cardigan, and the backdrop just adds to the inspiration. It's the same with her Crafting a Colorful Home book. Just look at the colors she uses! Besides knitting inspiration, you'll find recipes (check out the Shepherd's Pie - YUM!) and lots of great painting, sewing, and crafting projects. Her chapter on "how to re-cover a chair seat" caught my attention. I could use some color on my old dining room chairs! I highly recommend this book. 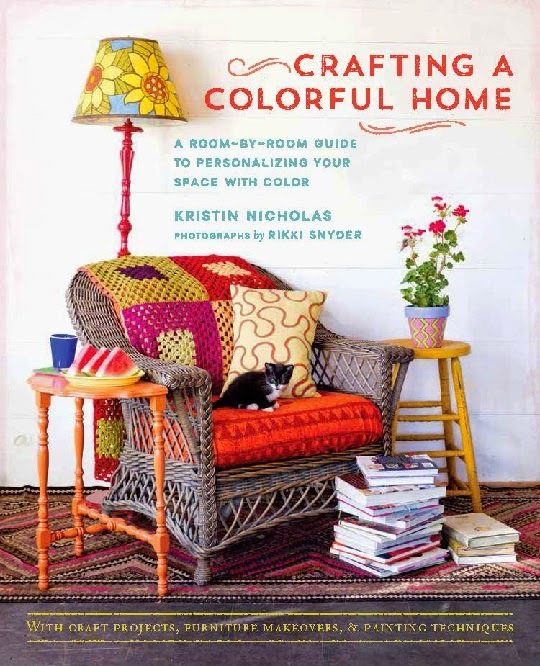 You might not think you can have as colorful a home as Kristin does, but with a few small projects, you'd be well on your way! Leave a comment, and you have a chance to get a signed copy of the book that might change your home decor for life.